27 cm tall (11 inches). 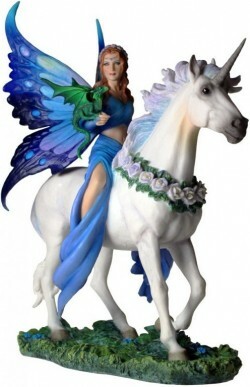 Beautiful finished gothic fairy figurine from the Anne Stokes collection. Realm of Enchantment features a fairy riding on a white unicorn with a green dragon on her hand. Very colourful and well detailed design. Very fantasy.